plus (made in) Italy I felt in love with this boxy coat, of course there was a problem, like always , too big size, but when I have my sewing machine with me it's like no problem at all for me . 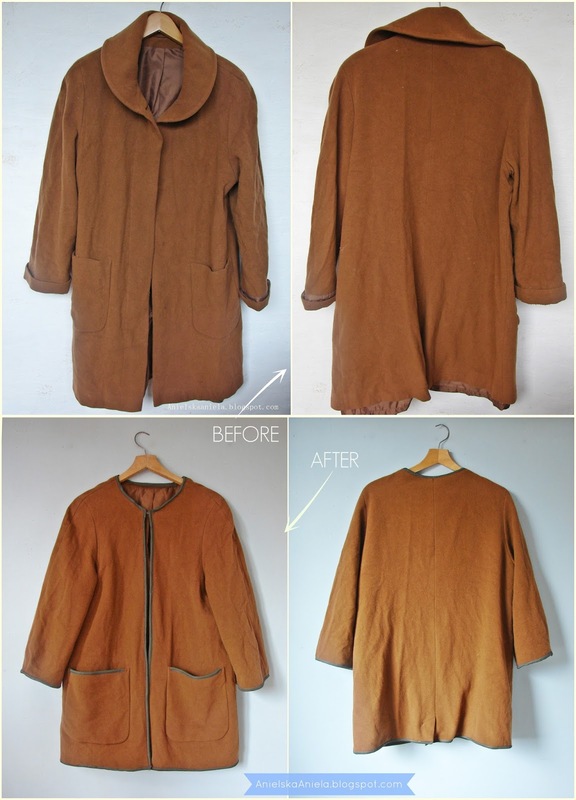 Whole refashion and more photos you can see here! Wowwwww - THAT'S what I call a 'rejuvenation' of a theme !!! Nice! I love the contrasting edging. What a gorgeous touch! You made a great, classic coat that will last you for years.